You don’t just ignore pains and hurts in your stomach. It could be something more than just a cramp. You should be aware of everything going on in your body. Some abdominal pains could be one of the following causes which should be taking care of immediately because they have unpleasant side effects. No drug is without side effects and sometimes that includes abdominal pain. Oral bisphosphonates, a popular class of drugs that helps preserve bone density and prevent osteoporosis, can cause swelling—and therefore pain—in the lower esophagus. Also, pain medications known as NSAIDs (nonsteroidal anti-inflammatory drugs) can also cause swelling in the stomach lining and may even lead to ulcers. You need our Detoxification Kit to flush your whole body from A to Z.
Ulcers in the stomach and duodenum (the first part of the small intestine), is a common source of abdominal pain.Pain usually strikes the mid-upper abdominal area and sometimes occurs after meals. People with duodenal ulcers can wake in the middle of the night due to pain. NSAID medications and Helicobacter pylori (H. pylori) bacteria are major causes. Women do have a range of problems with their periods, including pain, heavy bleeding, and skipped periods. Also, Ovarian Cysts can as well cause abdominal pain during periods. Those who are experiencing a yeast infection during their menstrual cycle are at risk of developing a serious condition in which the infection spreads into the intestine. This can cause irritable bowel syndrome, diarrhea, bloating as well as other. Fibroids are benign (non-cancerous) growths that can occur in your womb (uterus). 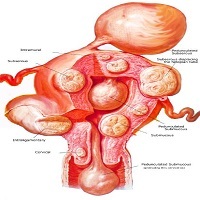 The vast majority of fibroids occur in women of reproductive age. 2 out of every 5 women have fibroids. Most people who have appendicitis, an inflammation of the appendix, experience sudden pain. Appendicitis is more common in children and young adults (though it can happen to older adults) and usually starts with pain in the mid-abdomen, progressing into the lower right part of the abdomen. If the appendix isn’t treated, it can burst, leading to potentially life-threatening peritonitis. It’s uncommon, but cancer in any one of the organs located in the abdomen—the liver, pancreas, stomach, gallbladder, or ovaries—can cause stomach pain, but usually only in the later stages. No one wants to think that stomach symptoms are due to a parasitic worm or other creature. But it happens. There are many types, but the most common are Giardia and Cryptosporidium, which you can get by swimming in contaminated pools or lakes or drinking contaminated water. (Or in some outbreaks, unpasteurized cider). The tiny protozoa cause cramps, diarrhea, and nausea about 2 to 10 days after exposure (for Crypto) or 1 to 3 weeks later (for Giardia). Other types of parasites can be picked up in under cooked or contaminated food. Such meals trigger the gallbladder to contract. “If the gallbladder is inflamed, any contraction of that nature will be amplified and typically will cause pain to the patient. Inflammation of the pancreas can cause burning pain in the upper or middle abdomen. Some people even have shooting pain that drives right through to their back. You may lean forward or lie on your back to try to relieve the pain, which may subside into a dull ache, nausea, and vomiting. Too much alcohol can be a culprit, as are gallstones (the gallbladder and pancreas deliver their digestive juices into the intestine via the same duct). Gastroesophageal reflux disease, or GERD, can cause pain in the upper stomach and lower chest, a.k.a heartburn. The cause? A valve that separates the stomach from the esophagus is weak, allowing food and acid from the stomach to splash upwards. Eating too much food or the wrong type of food (fatty, for instance) can make it worse. Losing weight, watching what you eat, can also help. This type of food intolerance causes milder abdominal pain, bloating, diarrhea, burping, gas, and indigestion. “These look like punched-out holes in the lining of the colon that tend to get inflamed or obstructed with stool or other foreign material. Symptoms can include cramping in the lower abdomen. A high-fiber diet can help. In more severe cases, it can cause abscesses, bleeding, and even perforations, resulting in severe pain. Some people react badly to gluten, a protein found in wheat, barley, and rye. The most severe form of gluten intolerance is called celiac disease. “The gluten causes damage in the small intestine. “The small intestine doesn’t work normally, it doesn’t absorb nutrients.” Experts and patients are becoming more aware of gluten intolerance and celiac disease, which causes gas, bloating, mild-to-severe pain, and fatigue. 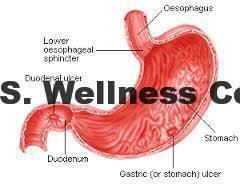 The small intestine’s inability to absorb nutrients may lead to chronic diarrhea, weight loss, and even malnutrition. “The thyroid regulates several functions in the body and the digestive tract is one of the systems. If the thyroid produces too much hormone (hyperthyroidism), it speeds up the digestive tract, resulting in diarrhea and abdominal cramps. On the other hand, an under active thyroid (hypothyroidism) slows down the digestive tract, potentially leading to pain from constipation and gas. 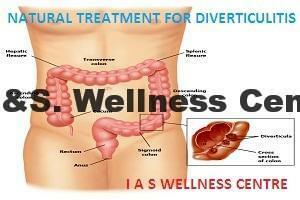 Inflammatory bowel disease (IBD) is an inflammation inside the small or large intestine. It includes Crohn’s disease and ulcerative colitis. The inflammation from IBD can cause scarring and blockage, which can lead to abdominal pain along with diarrhea and rectal bleeding. Symptoms are chronic, but can flare up and subside in cycles, making it sometimes hard to diagnose. 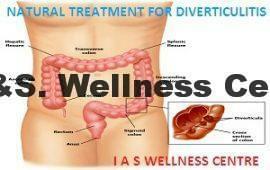 Irritable bowel syndrome (IBS) is not the same as inflammatory bowel disease. Although IBS can also lead to chronic abdominal pain and changes in bowel movements (such as alternating constipation and diarrhea), it is not an inflammatory condition and never involves rectal bleeding. And there are usually other symptoms, like a loss of appetite, weight loss, persistent vomiting, persistent bloating of the abdomen, and recent changes in bowel habits. Sudden abdominal pain in an older person especially one who smokes or has high blood pressure may be accompanied by lightheartedness as a result of abdominal aortic aneurysm. This natural solution kits are 100% compounded natural medicines that eliminate the causes of abdominal pains stated above. The kit has combination of different herbal medicines that are curative in nature. The kits do not suppress, relieve or maintain the problem instead they cure the root cause. Healthline’s mission is to make the people of the world healthier through the power of information. We do this by creating quality health information that is authoritative, approachable, and actionable. Our health articles have helped a lot of people from the feedback we get on daily basis. Help others by sharing this article with as many as possible people on your network. Thank you for doing that. This entry was posted in Health articles and tagged Appendicitis, cancer, Diverticulitis, endometriosis, fibroids, Gallstones, GERD, Gluten intolerance, infection, Inflammatory bowel disease, Irritable bowel syndrome, Lactose intolerance, Medication side effects, Menstrual Problem, Pancreatitis, Parasites, Smoke and High blood Pressure, Thyroid problems, Ulcers.